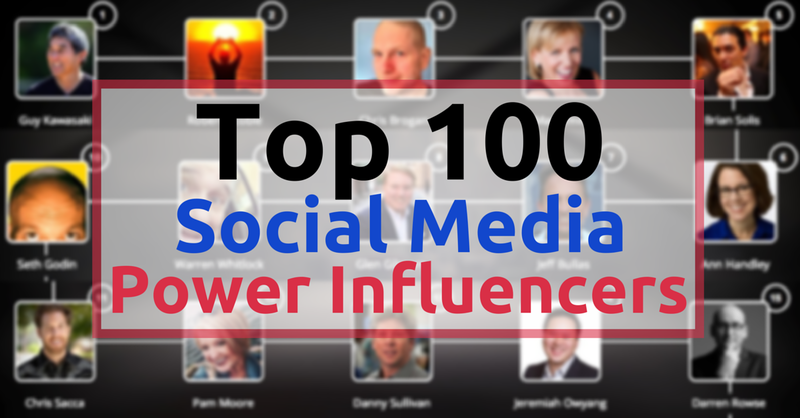 In previous years, Forbes curated the Social Media Power Influencers list. This week, StatSocial and Haydn Shaughnessy teamed up for the third time to identify social media leaders with a strong following among people also interested in social media. The stats are all based on Twitter influence. The primary metric of comparison is the number of second-degree followers—that is, how many followers, on aggregate, are following the influencer’s followers—and how that number compares with how many people are following an average Twitter user’s followers. There’s also a weighting modifier according to how much interest each influencer’s followers have in these five areas: 1) social media 2) marketing 3) advertising 4) technology and 5) business leaders. In all transparency, I tend to take lists, leaderboards and scoring systems with a wee pinch of salt. Sure, it’s nice to receive recognition – everyone likes to be acknowledged. However, we should never, ever let such lists and scores define our value and certainly not our self-worth! Everyone is valuable. Plus, the lists and scores often miss out a plethora of equally talented leaders who may be focused outside the realms of whatever algorithms do the measuring. So, we need to remember the lists and scores are not exhaustive! Influence marketing has it’s place and it’s also a wonderful win-win to build an audience of loyal followers – by providing consistent value. I say just get out there, focus on heart-centered engaging and do good! Btw, I had fun making a wee video montage to showcase the top-100 list! The 15-second version for Instagram is embedded below. And a longer 54-second version can be found on Facebook here. The sound track is Queen of Ngorongoro by Baka Beyond, a unique fusion of African and Celtic sounds. Just for fun, I created a version of the photo montage for YouTube with a different song – Crazy by Gnarls Barkley. Ha! Just because. The blog version of this week’s edition of THE SOCIAL SCOOP weekly newsletter follows below! If you’re already subscribed, you’ll continue to receive The Social Scoop via email on Fridays. If you’re not yet signed up and would like to be, please enter your name and email in the box to the right (desktop) or below the post (mobile). Thank you! Please do enjoy this week’s top three articles! via StatSocial.com Awesome group of fellow movers and shakers. I do appreciate that the list is created based on more than follower numbers. Rock on peeps! If you’d like to check out an analysis of your own Twitter followers, you can get a free account on StatSocial. The stats show both demographics and affinities, and provide huge insight into your follower community. via Facebook.com/MariSmith If you ever need to look up reliable, current Facebook facts and stats to include in reports, slides, infographics, to present to your boss/clients, etc., you know there’s a ton of data out there. But which are the best and most reliable sources? Here are several top sources that I use regularly myself! Proving, once again, the value of social media, Twitter and Google have struck a deal to show your Tweets in Google searches. This is a big deal because it gives you the opportunity to have the content you share on the network seen when someone searches on Google. For additional information also check out this post by CMS Wire. And, that’s a wrap for this week’s issue of The Social Scoop. Here’s wishing you a beautiful weekend and a super special week ahead! 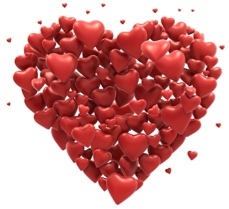 I hope you have a Happy, Happy, Heart-Expanding, Love-Filled Valentine’s Day!! The international day of LOVE! Whether you are partnered or not, whether you’ll be with loved ones or not, and whether you have plans or not, I do hope your heart is truly overflowing with love–for yourself, your friends, family, animals, nature and all the simple things in life! I’m sending you a great big virtual heart hug from me to you. I appreciate you more than you know! P.S. Are you coming to Social Media Marketing World in sunny San Diego, California on March 25th to 27th? I’d love to meet you there. Attend the world’s largest and most awesome social media conference LIVE and in person with 2,500 of your fellow marketers and enjoy over 100 top speakers! Click here for more details and to get your ticket. Got feedback, questions, ideas? Feel free to let us know your input in the comments below. I always love to hear from my readers.